Saudi Basic Industries Corp is boosting its research and development efforts in two rapidly expanding markets, with new technology centres in India and China. 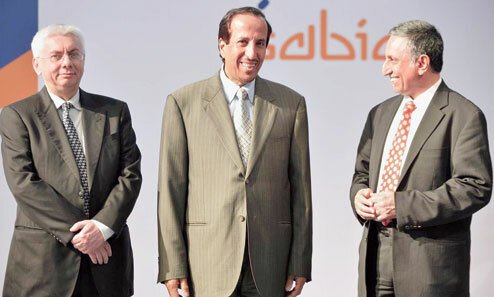 Riyadh, Saudi Arabia-based Sabic opened an 187,000 m² technical centre in the south Indian city of Bengaluru on29 November. In a few days it will open another centre in China.The company invested $100m (€74m) in the Bengaluru centre and said it plans to hire more than 300 scientists at the facility. “The centre would carry out cutting-edge research into new platforms for next-generation materials across industry sectors including construction, clean energy, electrics and electronics, medical devices, transportation. STC would also initiate work on designing greener building materials to reduce environmental footprints and developing eco-friendly products in response to global megatrends and needs.” said Mohamed Al-Mady, vice chairman and CEO. Sabic has committed an additional $500m (€368m) investment over five years into both Asian technology centres. It also plans to triple its R&D headcount in Asia by 2025. Sabic already has two R&D facilities in Asia, in Moka, Japan, and in Sungnam, South Korea. With the two new centres, Sabic has 17 technology and innovation facilities globally, including centres in Saudi Arabia, the United States, the Netherlands and Spain.